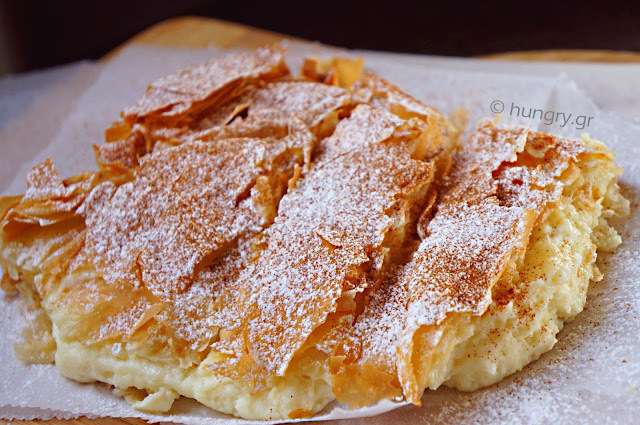 Bougatsa with stevia, egg-free and with a very light semolina cream. 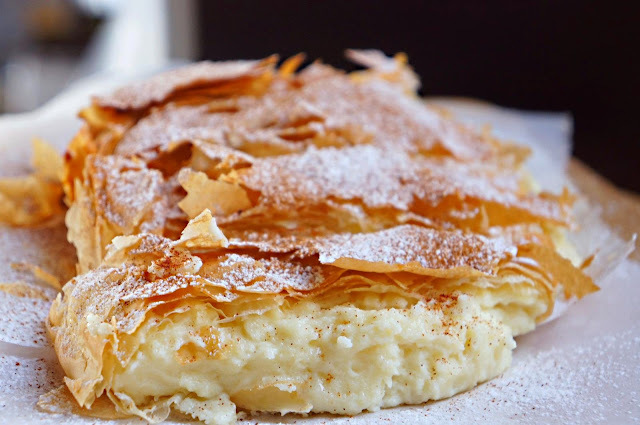 A traditional dessert, which is made with many phyllo sheets, folded well to close within their fluffy and fragrant cream. 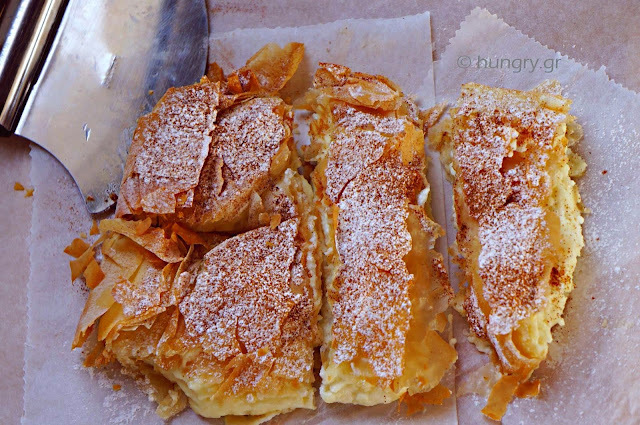 From top sprinkled with a white cloud of powdered sugar and cinnamon. 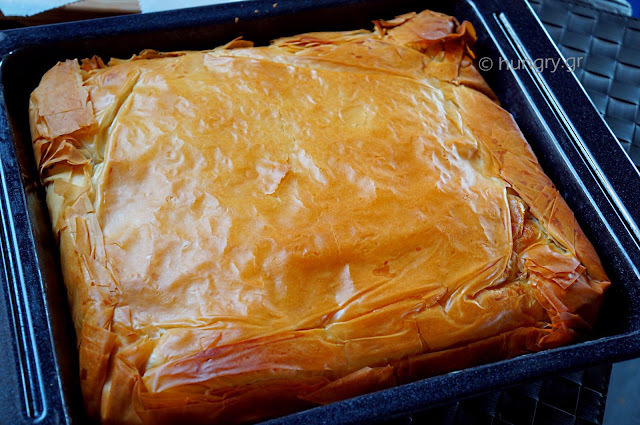 It's also a favorite street food, along with the cheese pie is a quick snack for passersby or tourists. 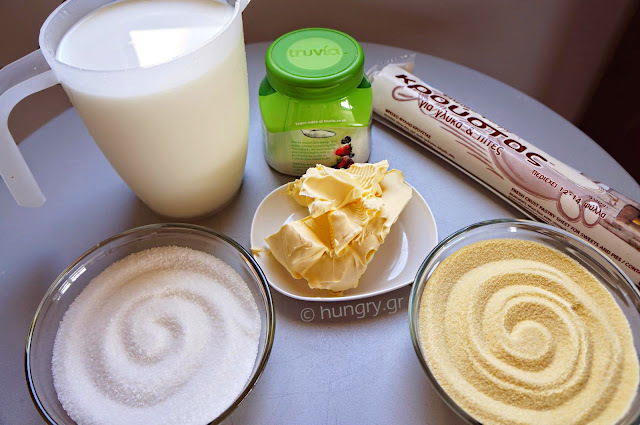 Made with Stevia and no eggs it is a dessert for dieters or for those that for some reason do not want to consume sugar but also do not want to be deprived of their favorite flavors. You choose. 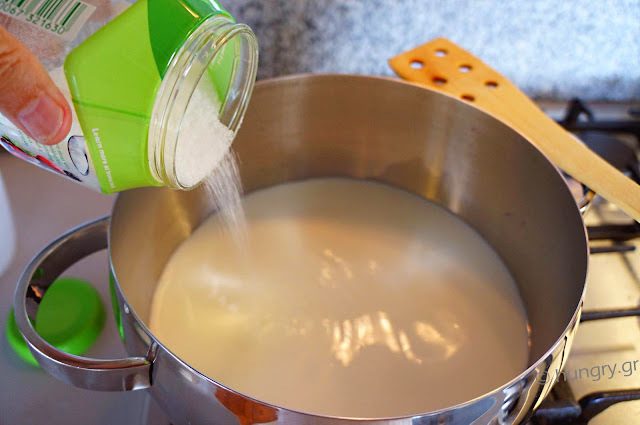 On medium heat, place a saucepan and add the milk. Add the sugar or stevia. 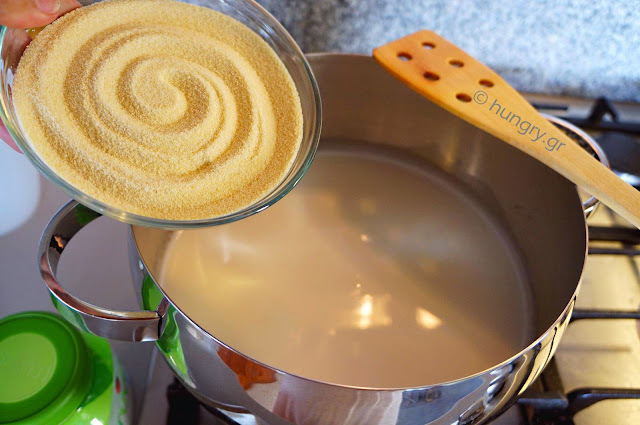 Then carefully pour the semolina little by little, stirring constantly with a wooden spoon and with quick movements. 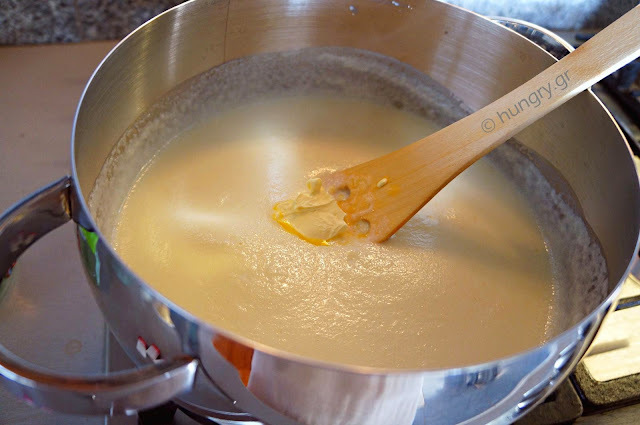 When it starts to thicken and after the first jets of boiling remove from heat and add the butter and the mastic. Mix. Allow to cool, stirring it well from time to time. 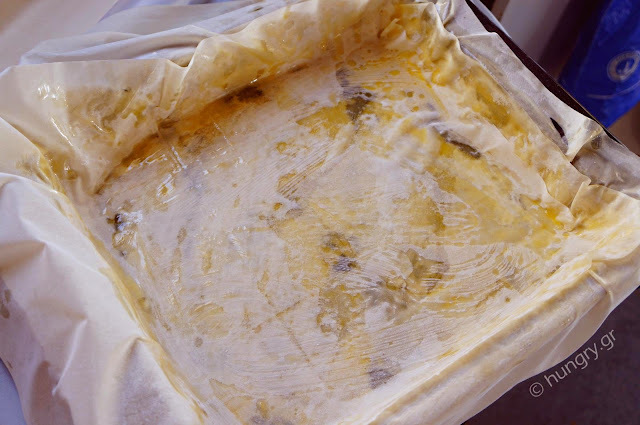 Melt the butter and on a large surface spread 7 phyllo sheets. 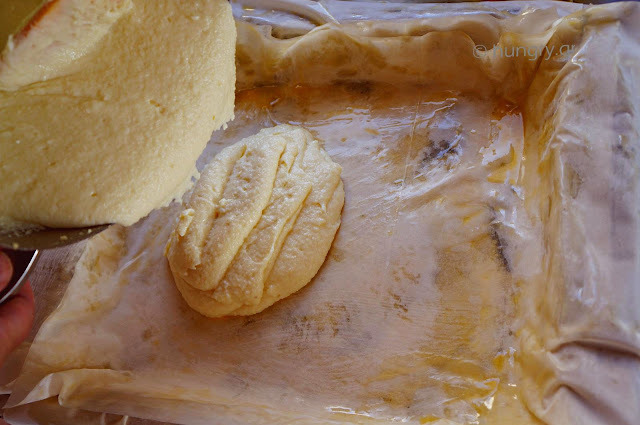 Butter one by one and place them in a large shallow pan to protrude a little at a time from all sides. Pour the cream into the buttered sheets and lay with a spatula. 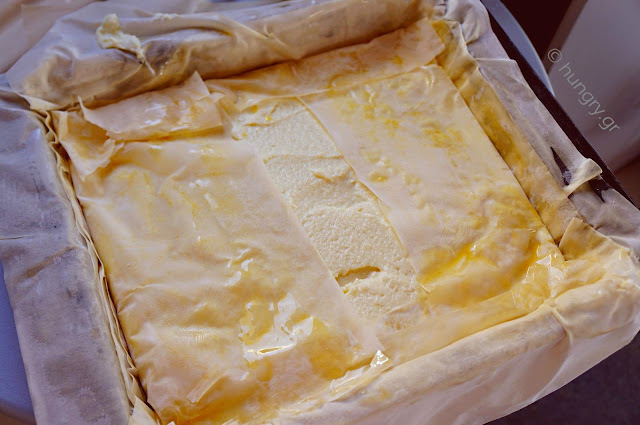 We turn up the cream all the sheets that protrude and cover with the remaining well buttered. Cut the edges of many sheets left over, leaving only 2-3, which will go under the cream pie lifting with a spoon or a spatula to enclose the stuffing around it. 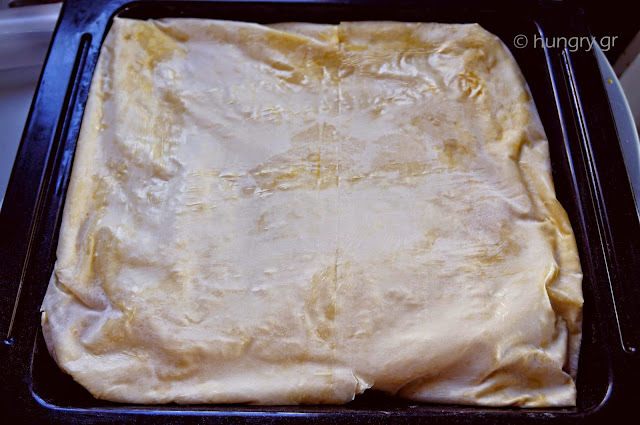 Bake in low rack of a preheated oven at 180°C (356°F , Gas 4.2) for 35'-40' or until golden brown. When it gets the color of the surface, you flip it in an other pan to golden brown and the underside. 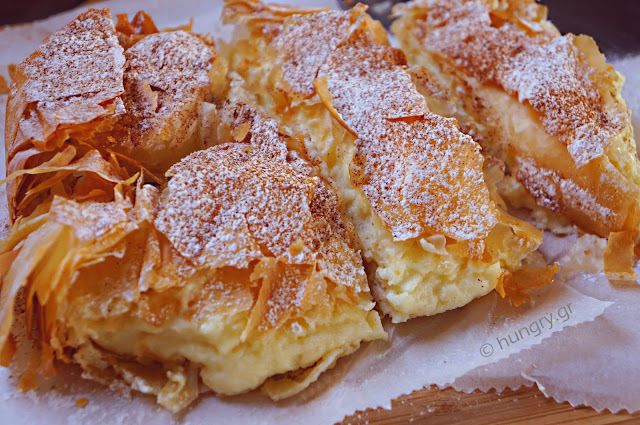 Orange cake with baked pastry and yoghurt. Juicy and fluffy, with a strong flavor of orange and syrupy as much as required to keep it juicy without cloying us. The crunching sheets are sprinkled and flavoured with cinnamon and sugar. The candied orange slices tantalise your enjoyment and further intensify the orange flavor.